Financial News – . : Italeaf Group – Innovation To Make The Change :. 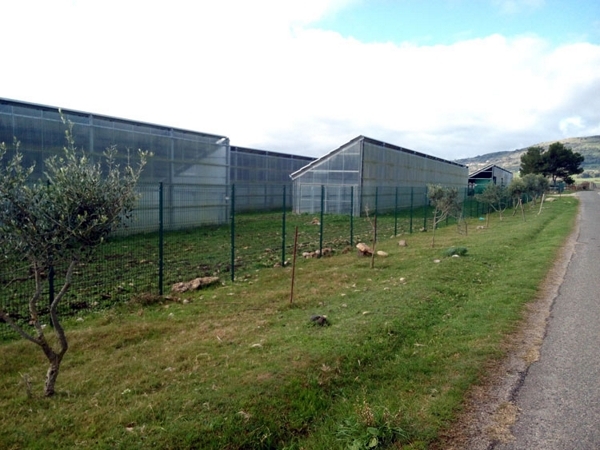 The project’s activities have started, with a total investment of 19 million euros supported by 30 partners (companies, universities and research centres) and by the European Commission for a period of 48 months. The project aims to develop a digital platform aimed at excellence in manufacturing through Zero Defects products and production processes. TerniEnergia, a smart company listed on the Italian Stock Exchange’s electronic share market (MTA) and part of the Italeaf Group, Softeco Sismat Srl, the Group’s digital company, and Zero Defect Manufacturing Platform project announce the launch of the activities of the ZDMP Project, thanks to an investment of Euro 19 million provided by the 30 sponsoring companies and the European Commission. Its mission is to develop and establish a digital platform and related Apps for achieving excellence in manufacturing through zero defect processes and products. The aim of the project is to develop and establish a digital platform aimed at excellence in manufacturing through Zero Defect products and production processes for Industry 4.0. Softeco Sismat participates in the ZDMP project as a provider of technological solutions, which will lead to the grant from the European Commission of Euro 0.45 million.The project is coordinated by Research Center UNINOVA and concepted and managed by SME Information Catalyst (ICE). 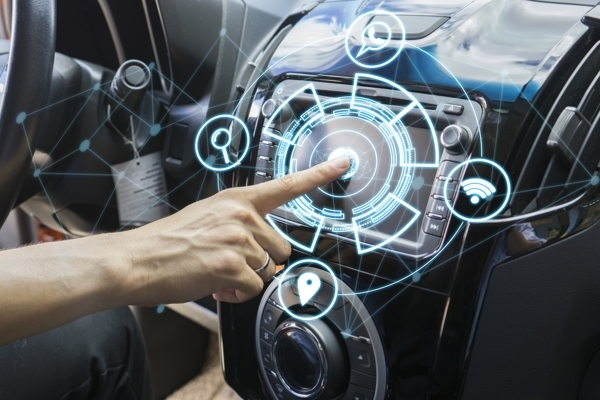 Other leading partners include: Ford, Continental, Software AG, Mondragon Assembly, HSD, FIDIA, Formplast, Consugal, PT Mills, Flexeflina, CEI, AlfaTest, Ceteck, Video Systems, Ascora, Profactor, Etxe-Tar, Ikerlan, ITI, and Rooter. These are assisted by the Polytechnic University of Valencia, Tampere University, and Southampton University as well as the German Standards Organisation DIN. ZDMP project is oriented by the substantial transformation termed Industry 4.0 and enabled through the proliferation of new digital solutions applied across the production process chain. As the phone propelled to the smart phone, ZDMP will propel the factory to the Smart Factory and to the Smart Zero Defect factory. “ZDMP will ensure that European industry remains competitive and keeps its leading manufacturing position by producing high quality products at a low cost in the most efficient way”. ZDMP will validate itself in industrial demonstrators including Automotive, Machine Tools, Electronics, and Construction. These will show how enhanced cooperation between companies can avoid and reduce product and process defects along various supply chains. The sponsoring organisations will also release 3.2M€ during its course to additional partners, users and technology companies, to further enhance both the platform features and trigger the adoption of the platform on the market. The ZDMP Project combines state of the art technological approaches based on commercial grade standard or open-source software with an open development approach and App store. It will focus on both process and product quality modules for pre-production, production, and post-production quality issues to ensure manufactures are enabled for zero defects. 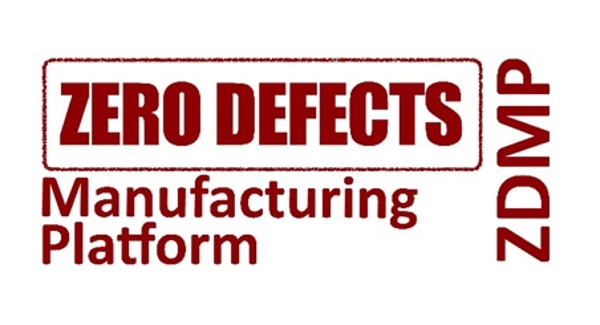 The Zero Defect Manufacturing Platform project (ZDMP) was launched in Q1 2019 for 48 months with an investment of 19M€ provided by the 30 sponsoring companies and the European Commission. Partner companies and other information can be found at www.zdmp.eu. ZDMP is a Research and Innovation activity that emerged in response to a European Commission H2020 call on Industry 4.0 and Factories of the Future under grant agreement 825631. It is a Digital Manufacturing Platform to facilitate zero defect manufacturing in connected smart factories, including SMEs, and its aim is to further Europes position in the manufacture of high-quality products. 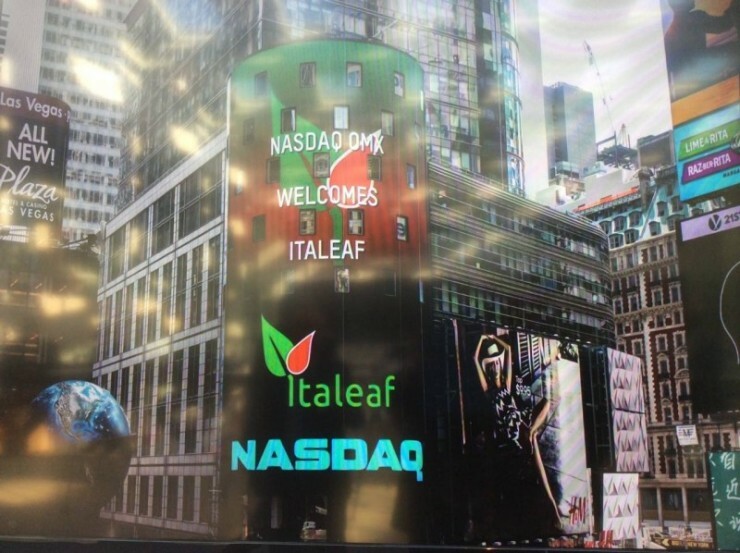 The Board of Directors of Italeaf, a holding company active in the cleantech and smart innovation sectors, listed on Nasdaq First North, which met today, resolved to postpone the approval of the separate and consolidated financial statements to 31 December 2018.
the same creditors are waiting to receive Italeaf’s updated plan to resolve on the restructuring of both companies, which have reserved the right to follow the progress of these negotiations with the aim of concluding them and defining their recovery and relaunch plans by June 30, 2019. Taking into account the work in progress of this process – of which the market is and will be regularly informed – and the importance of the outcome of the above negotiations aimed at reaching a restructuring agreement that will allow the economic and financial rebalancing of Italeaf and TerniEnergia, the Board of Directors has therefore, deemed it appropriate to postpone any decision on the approval of the draft annual and consolidated financial statements as at 31 December 2018 until a later date, indicatively between 17 and 28 June 2019, in order to be able to take fully into account, in approving those financial data, the impacts arising from the definition of the restructuring agreement. The Board of Directors also approved the proposed Plan for the recovery and relaunch of Italeaf, following the strategic guidelines approved on 27 April 2018, aimed at restoring the financial and equity balance of the Company in the long term, whose reasonableness will be certified by a professional advisor pursuant to Article 67, paragraph 3, letter d) r.d. 267/42 for the period 2018-2022 (the “Plan”), which was identified in Dr. Massimiliano Bonamini (subject with proven experience in the sector). 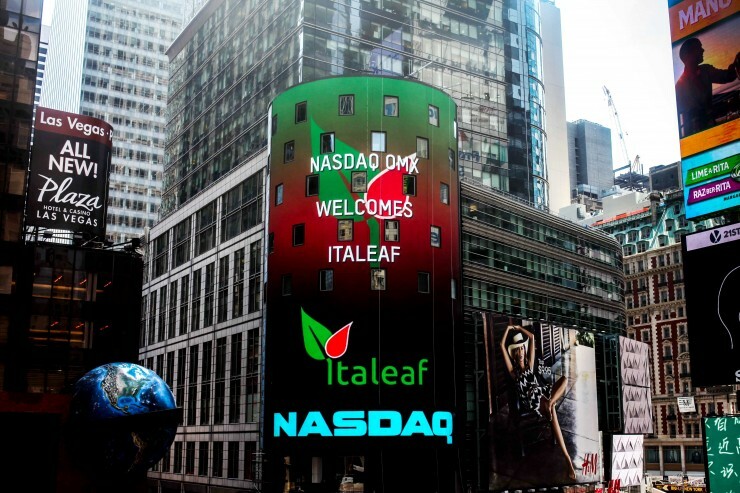 Italeaf avails itself of Orrick law firm as its legal advisor. The Plan, drafted with the support of KPMG as an industrial and financial advisor, represents an important part of the restructuring process undertaken by the Company. All the measures envisaged must be considered as a single measure, as they compete with each other to achieve the goal of restoring the Company. to encourage the intervention of third party investors, in co-participation, in the subsidiary Numanova with the aim of guaranteeing a sufficient equity contribution to support the definitive take-off of the company, currently in the initial “expansion” phase. Italeaf S.p.A., in addition to maintaining its holding activity, may continue to provide until 2020 the possibility of providing services (administrative, management, full service, utilities, etc.) to the Group and/or to any third parties taking over the disposal process initiated by the subsidiary TerniEnergia. To date, in the absence of visibility on the agreements being defined with third parties, it is assumed that third parties will take over the former TerniEnergia’s service contracts, as it is assumed that the sale of the Nera Montoro industrial site will take place at different times than the sale of the TerniEnergia’s plants. In order to guarantee the ability to maintain an economic and financial equilibrium to cope with current operating activities, from 2018 onwards the Management has started a process of optimisation and rationalisation of Italeaf S.p.A.’s operating and structural costs. Starting to 2021, with the sale of the Nera Montoro site, a further significant reduction in costs is expected, primarily as a result of the utilities, the reduction in the organisational structure and the lower taxes linked to the industrial area to be sold. 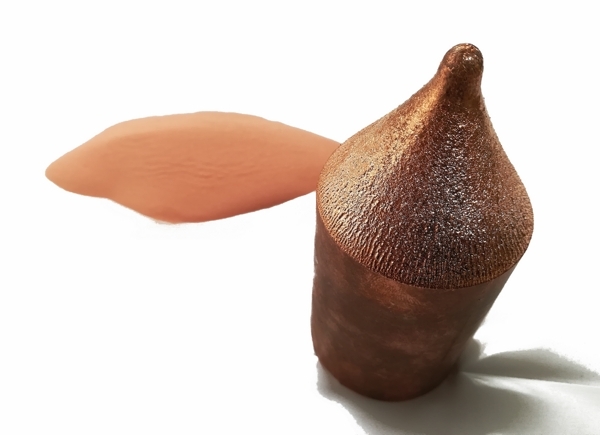 Italeaf S.p.A. has made itself available for a financial restructuring based on a recovery and relaunch plan pursuant to art. 67 of the italian B.L.. The proposal for Financial Manoeuvre is based on the debt as at March 31, 2018 and provides for the early repayment of the bank exposure in correspondence with the realisation of extraordinary transactions and the rescheduling of the bank debt with an amortisation plan based on the cash flows generated by the Company and the cash flows deriving from the subsidiary TerniEnergia from 2025 (the year in which TerniEnergia is expected to be completely restructured). Reimbursement of bank exposure as of 31 March 2018, as well as financial charges 2018 and 2019 capitalised in two phases: (a) early redemption in 2021 through the collection of the sale of Nera Montoro (TR); (b) redemption from 2025 through the flows deriving from the activities of the TerniEnergia Group. The Board of Directors of Italeaf therefore resolved to continue negotiations with the creditors on the basis of the proposed Plan approved today, reserving the right to closely monitor the work in progress of negotiations with the aim of concluding them and defining the Plan by 30 June 2019. 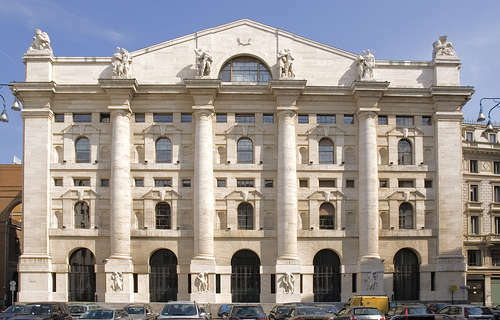 The Board of Directors of TerniEnergia S.p.A. “(“TerniEnergia” or the “Company”), a smart energy company listed on MTA of Borsa Italiana and part of the Italeaf Group, which met today, resolved to postpone the approval of the draft financial statements and the consolidated financial statements as at 31 December 2018 with respect to the date indicated in the annual financial calendar, communicated on 16 January 2019.
that are in progress negotiations with the creditors and bondholders, on the basis of the approved Plan proposal, and that TerniEnergia has reserved the right to follow the progress of negotiations with the aim of concluding them and defining the plan by 30 June 2019. Taking into account the state of progress of this process – of which the market is and will be regularly informed – and the importance of the outcome of the above negotiations aimed at reaching a restructuring agreement that will enable the Company to rebalance itself economically and financially, the Board of Directors has, therefore, deemed it appropriate to postpone any decision on the approval of the draft annual and consolidated financial statements as at 31 December 2018 until a later date, indicatively between 17 and 28 June 2019, in order to be able to take fully into account, in approving those financial data, the impacts arising from the definition of the restructuring agreement. The precise date of the Board meeting for the approval of the 2018 financial statements and the calling of the shareholders’ meeting will be communicated to the market with a subsequent press release, in the manner established by the applicable provisions. The Board of Directors of TerniEnergia S.p.A. “(“TerniEnergia” or the “Company”), which met today, approved the update of the proposed Relaunch and recovery plan, compared to the version approved on 25 October 2018, the reasonableness of which must be certified by a professional pursuant to art. 67, paragraph 3, letter d) r.d. 267/42 for the period 2018-2022 (the “Plan”), who has been identified in Dr. Massimiliano Bonamini (subject of proven experience in the field). a financial manoeuvre which, in addition to providing for debt rescheduling and rescheduling, is founded: (a) on a principle of “pari passu” distribution, between financial institutions and bondholders, of the proceeds deriving from the disposal of the above assets during the two-year period 2019-2020; (b) application of a “balance and withdrawal” manoeuvre to 2020 for those institutions that have shown interest in this solution thanks to the use of the last proceeds deriving from the disposals hypothesised in that year; (c) starting in 2020, full repayment of the residual debt for bondholders and banks not participating in the “balance and write-off”, through flows deriving from business continuity with the objective of completing the repayment path by 2026. The main terms of the update of the proposed Plan approved today by the Board of Directors of TerniEnergia, still subject to negotiations with the creditors (including bondholders) and therefore still potentially subject to changes and/or additions, are set out below. All the measures envisaged must be considered as a single measure, as they compete with each other to achieve the target of recovering the Company. The photovoltaic assets and those of the CleanTech Business Unit are expected to be disposed and, in particular, by 2019: (i) the sale of photovoltaic energy production plants, held directly or indirectly; (ii) the sale of end-of-life tyre treatment and recovery plants; (iii) the sale of the Nera Montoro biodigester; by 2020: (iv) the sale of a liquid waste treatment plant and 3 remaining photovoltaic plants. As a result of these disposals, the Plan provides for a total financial benefit of approximately Euro 115.8 million (of which approximately Euro 39.8 million Equity Value and approximately Euro 76.0 million reduction in the Group’s financial exposure due to the taking over of part of the debt by the purchasers of the assets). The corporate rationalisation process of the TerniEnergia Group is expected to be completed through the merger by incorporation of Softeco Sismat Srl into TerniEnergia by the end of 2019. This transaction will allow TerniEnergia to complete the industrial turnaround process of the Group through: (a) the strategic control of the new “Digital Energy” market, thanks to the development and growth of the Smart Solutions and Services divisions, based on Softeco’s expertise; (b) the application of the Digital Transformation paradigm as well as the adoption of new digital technologies for the energy efficiency sectors, according to a new business model, and for the maintenance of energy plants (proactive and prescriptive O&M), through an increased capacity for data analysis and the integration between the plant engineering skills of TerniEnergia and those for the development of innovative advanced analytics solutions by Softeco. Finally, it is believed that the merger will simplify the corporate architecture, confirming the industrial vocation of TerniEnergia, optimize decision-making processes and management efficiency (corporate, accounting and administrative), with a consequent greater rationalisation of costs. a) Accelerated debt repayment over the two-year period 2019-2020: the proposed financial package provides for a reduction in the Group’s indebtedness to financial institutions and bondholders (as noted at 31 March 2018) over the two-year period 2019-2020 thanks to proceeds from the disposal of photovoltaic and environmental assets. The assumed divestments will lead to a total collection of approximately Euro 39.8 million (equity value) which will be distributed for Euro 20.1 million in 2019 (equal to about 33% of the debt after the sale in 2019) to banks and bondholders. A further Euro 7.8 million will be repaid during 2020 with percentages varying between institutions and bondholders depending on whether the latter choose to adhere to the pari passu repayment plan or alternatively to the assumption of full and final settlement. For bondholders and banks that have already given their willingness to support the company in a medium/long-term restructuring process (pari passu), it is expected that cash flows from disposals will contribute to an overall early repayment of debt of approximately 43% by the end of 2020 (of the initial exposure after disposals). b) Full and final settlement: for those institutions that have expressed their interest in adhering to a ” full and final settlement” principle, payment is expected in 2020, which would lead to an overall satisfaction in 2019 and 2020 of about 67% (withdrawal of about Euro 3.2 million out of a total of Euro 9.6 million of debt associated with the institutions that have opted for the full and final settlement solution). It should be noted that the negotiations with the Company’s creditors regarding the Plan remain subject to definition and that any changes with respect to what is described above could occur as a result of the continuation of negotiations and in any case in line with them. c) Remaining exposures as at 31 December 2020: the remaining exposures as at 31 December 2020 (equal to Euro 28.2 million) would be repaid, pari passu, between the different types of exposures (see below) in annual instalments, with the flows deriving from the TerniEnergia Group’s operations, until the debt to the financial institutions (with the exception of the financing institutions exposed to the subsidiaries Softeco, Greenled and the Magliano Sabina plant in TerniEnergia) and the bondholders would be fully discharged by December 2026. This manoeuvre also envisages: (i) consolidation and moratorium until 31 December 2019 on short-term lines outstanding at 31 March 2018 (other than those towards the subsidiary Softeco and Greenled), which will be repaid in line with the medium/long-term treatment chosen by the individual institutions, (ii) moratorium on medium/long-term exposures outstanding at 31 March 2018, for the years 2019-2020, net of repayments as provided for in the previous points; (iii) the renegotiation of interest rates maturing and accruing from 1 July 2018 for all such 6-month Euribor exposures + 150 basis points. The Board of Directors therefore resolved to continue negotiations with creditors and bondholders on the basis of the proposed Plan approved today, reserving the right to closely monitor the progress of negotiations with the aim of concluding them and defining the Plan by 30 June 2019. The Bondholders’ Meeting of the bond “TerniEnergia Euro 25,000,000,00 notes due 2019 – ISIN Code: IT0004991573”, which met today, 14 December 2018, at 11.00 a.m. in second call, under the chairmanship of Stefano Neri and in the deeds of the Notary Adele Cesàro of Milan, was attended by 133 bondholders representing 53,2% of the bond issue. having acknowledged the need to appoint a common representative of the Bondholders, in order, inter alia, to facilitate future relations with the bondholders themselves and represent their interests in the context of negotiating and implementing the Recovery and Relaunch Plan, approved the appointment of a lawyer, Mr. Marzio Molinari of Studio Russo De Rosa Associati as the common representative of the bondholders for 3 years, determining their compensation at Euro 10,000 per year, plus a subsequent fee of Euro 65,000 to be paid by 2019 in the event of the signing of the agreement in execution of the Recovery and Relaunch Plan. The minutes of the Bondholders’ Meeting and the summary statement of votes will be made available to the public within the time limit established by current legislation. The Chairman of TerniEnergia Stefano Neri commented: “The positive resolution by the Bondholders’ Meeting is an important sign of confidence in the Group’s Recovery and Relaunch Plan, as identified by the management. We are convinced that in the medium term, following the industrial and operational turnover indicated in the Recovery and Relaunch Plan, the Group will restart to create value in highly competitive sectors with great prospects such as digital energy and hi-tech. The trust placed in us by the Bondholders represents an important impulse to accelerate the implementation of the Recovery and Relaunch Plan, which will allow the Group to recover efficiency and profitability. It is also a decisive signal to shareholders, the banking community and other stakeholders of the management’s and the Company’s ability to react in order to achieve financial equilibrium. 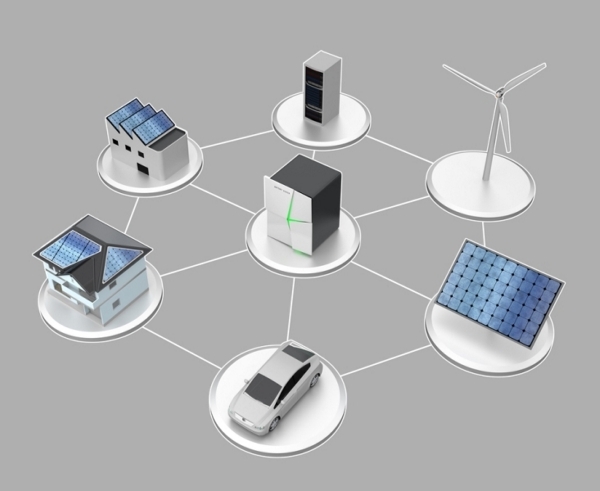 We are strongly committed to creating the conditions to seize the opportunities offered by the digital transformation in energy and energy efficiency, consolidated sectors of the Group’s activities, and in the sectors of mobility and transport, smart cities and automation for industrial sustainability“.